An ancient Scottish design made in 'Karin Grey' granite. 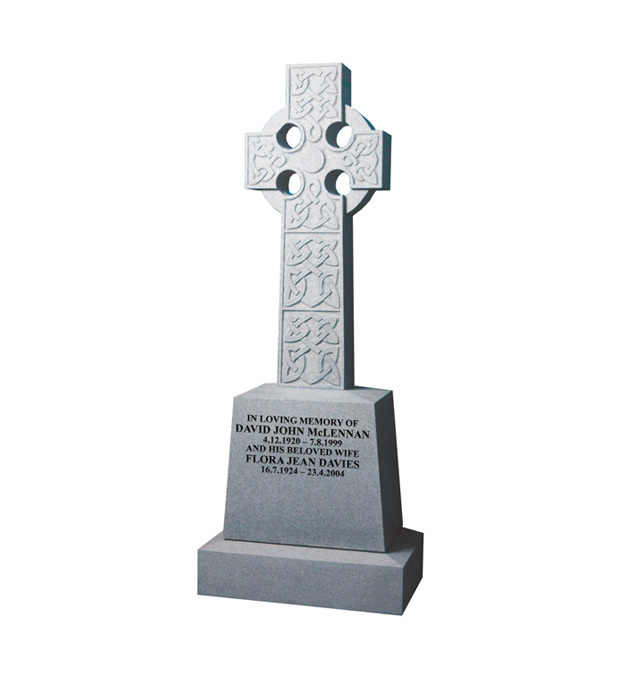 This memorial has a spectacular carving the length of the cross stem, symbolising Scotland’s Celtic heritage. The die and base have weathered (sloping) tops to complement the overall look of the memorial. It has an all sanded (unpolished) finish. Trade customers please log in to view McLennan purchasing options.